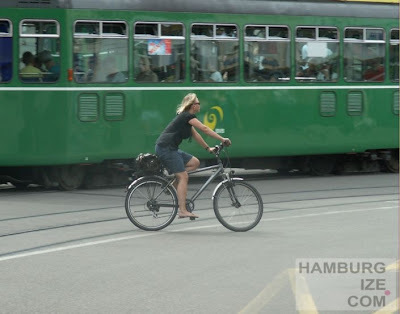 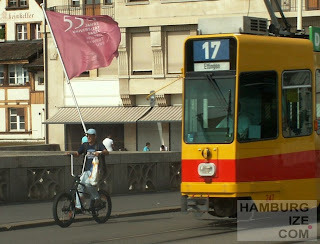 Many cyclists are afraid of tram rails, as i know from cyclists in Hamburg, where street cars are going to come in service again in some years, or elsewhere. 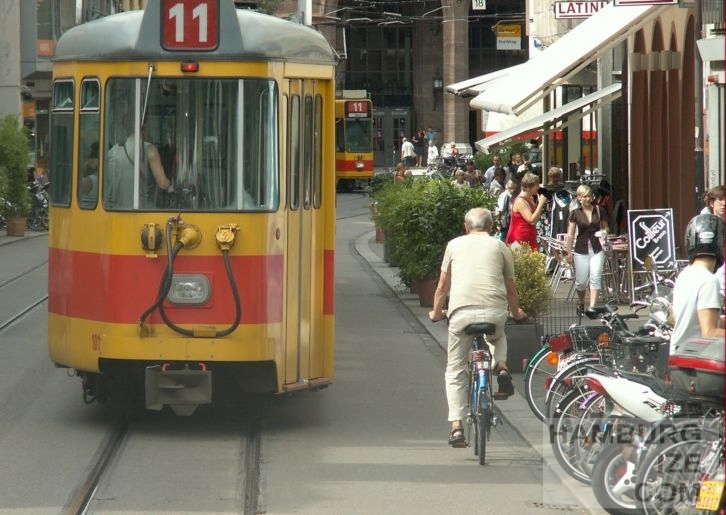 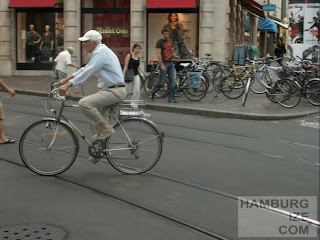 But in Basel cyclists seem to be very familiar with trams and tram rails. 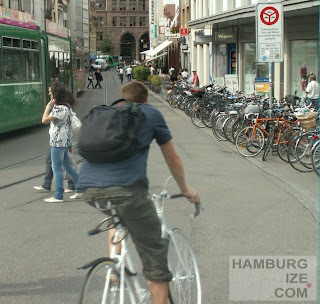 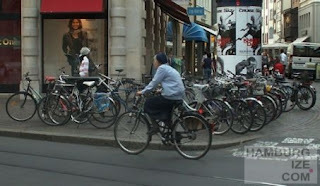 Cycling very close to tram traffic and rails in narrow streets seems to be quite normal for cyclists in Basel. 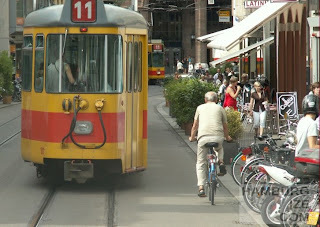 Many streets in in the old center of the swiss cyclists capital are shared by trams and cyclists. Basel seems to be a good example for togetherness of cycle traffic and tram traffic in the city. Hopefully Hamburg´s administration will not make up any problems for cyclists when new street cars will run in the city in future.